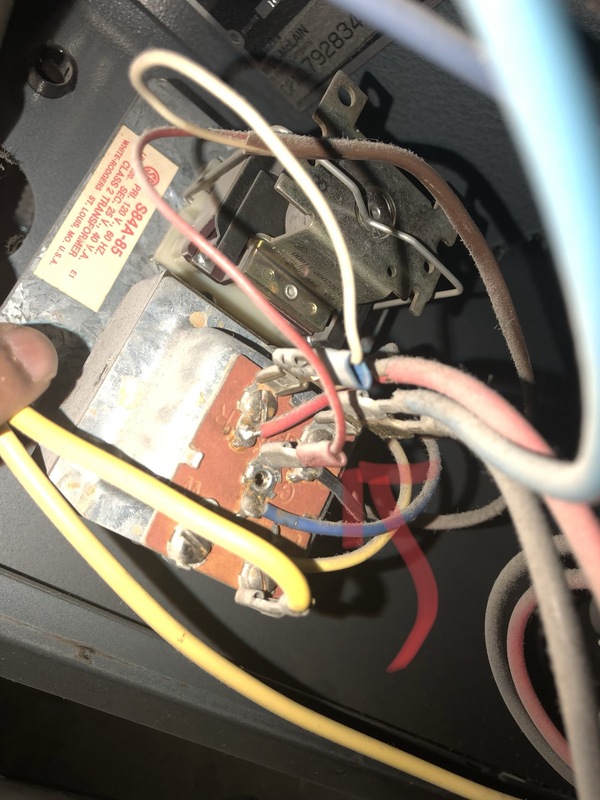 Im just curious if the “c” terminal on the plug in relay is where im suppose to connect my “c” wire on the boiler side. I have 18/5 wire ran already. Just need to find out where to terminate. To the “c” terminal or do i add it in somewhere else. The red wire is connectsd to my “R” on thermostat. Which is on the “G” terminal of the transformer. And the white wire is on the “w” port of the thermostat. But on the “r” terminal on the boiler relay. Where do i add the “c” wire to run a wifi thermostat?? Here's what your system currently looks like. As you can see, when the thermostat calls for heat (closes the switch), the coil in the relay is energized. This closes the relay contacts, and the boiler does what it does. If you're adding a fancy new thermostat, you'll need to connect the C terminal. The thermostat will then be powered by the transformer, using the R and C terminals. However, since in your situation, the R terminal from the transformer is actually going to the W terminal on the thermostat. The thermostat will only have power at R, when it's calling for heat (the switch is closed). To make this work, you'll have to change the wiring around a bit. In the end, it should look like this. Not the answer you're looking for? Browse other questions tagged heating thermostat thermostat-c-wire or ask your own question.